I have a 2005 Cadillac CTS. V6, 2.8L. 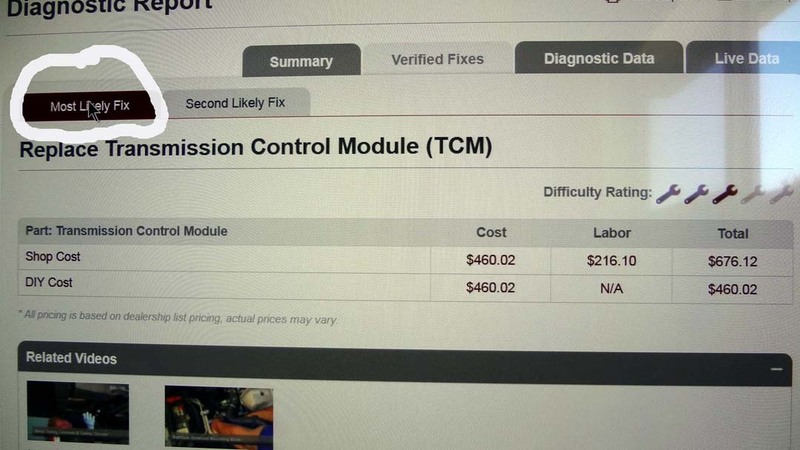 I just had my ECM rebuilt and now my car will start. I did the work myself. Now that the ECM is functioning, my OBD scanner gave me a P0700 code. Can anyone advise on this and the recommended course of action? Thanks. Hi Im David, thanks for visiting the site. 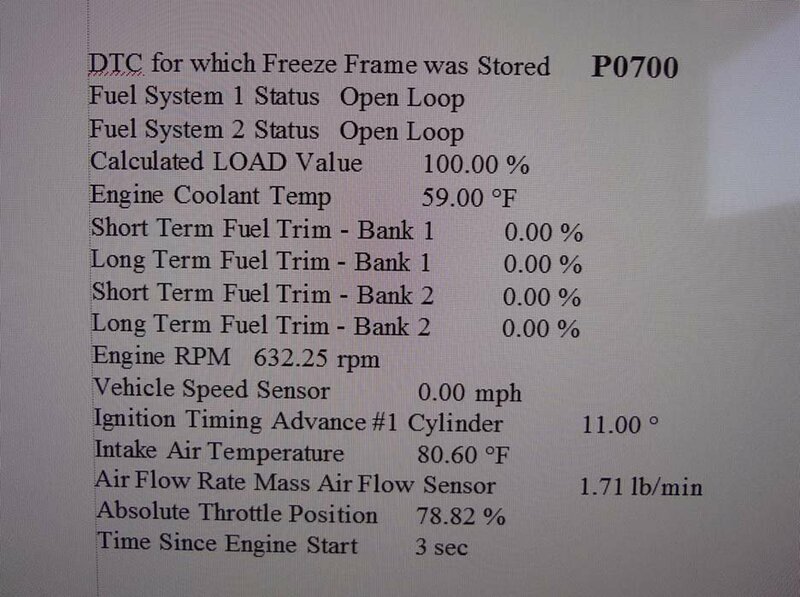 P0700 is letting you know that you have a fault stored in the Transmission Control Module. You will need a scan tool that has the capability of interrogating the TCM to see what faults exist. Thanks David. The attachment you sent says that the problem is "emission related." Does that mean it is a smog-clean air type problem? Would it be safe to drive the car without damaging it? Should I drive it to a station and get it smogged so they could diagnose the problem during the smog check, then fix it? 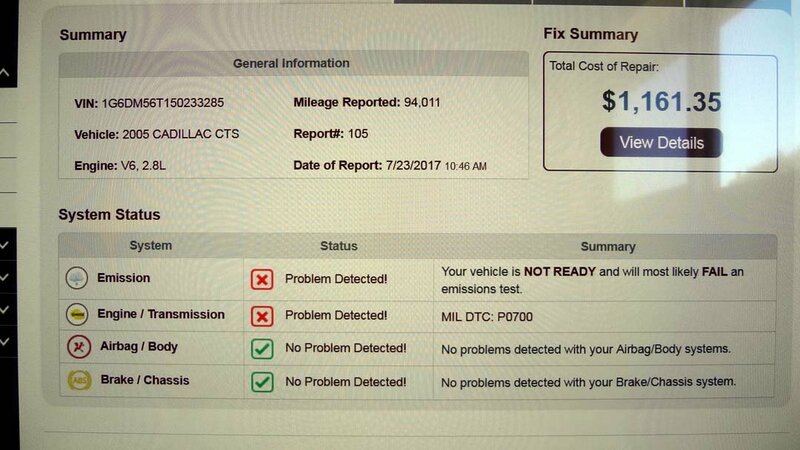 Maybe the smog check would be a cheaper way to diagnose the problem than bringing it to a repair shop for diagnostics, since they may run a diagnostic on everything under the $un and more. no, why it says that is confusing to me also. 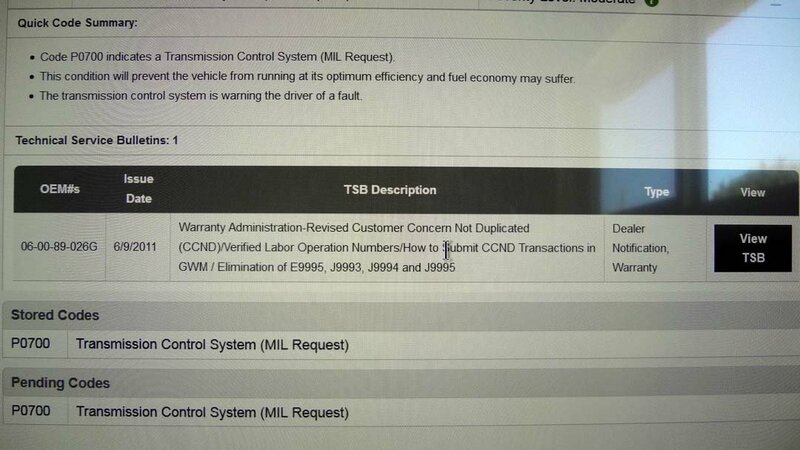 its a transmission fault non emission since the TCM doesnt store emission codes. all that has to be done is a diagnostic with a scan tool to see what fault codes is stored in the tcm. thats it. there is no smog tests anymore they went out when obd2 was introduced in 1996. Thanks. Would the P0700 code appear for a failing or failed TCM? no, its letting you know a fault code within the tcm is stored. Ok. So would it be true to say my TCM is good since it was able to store a code? I'm trying to eliminate the TCM as a source of the problem. it would be safe to say that yes. please accept the answer and leave a 5 star rating for me if you are satisfied with my assistance. just remember, by accepting the answer and leaving a rating doesnt mean we are done. im here to help you until the vehicle is fixed. Can you clarify what you meant when you said "there is no smog tests anymore". I may have misunderstood, but here in California they require a smog test on vehicles every 2 years. yes, you need to find out what code in being stored in the system, the most likely fix is impossible to be known. so I have no idea why they put that there.